"Always be hungry, Owen," the Chef said softly. "Don't ever let life just wash over you. Savor it--every smell, every taste, every sound. That's Rule One, Owen: Taste everything." From eight-time Culinary Olympian Chef Charles Carroll and New York Times bestselling author John David Mann (The Go-Giver) comes a tale of heartbreak and redemption, the story of a boy who learns to overcome tragedy and carve out a life of excellence and honor through cooking lessons at the hands of a retired chef. 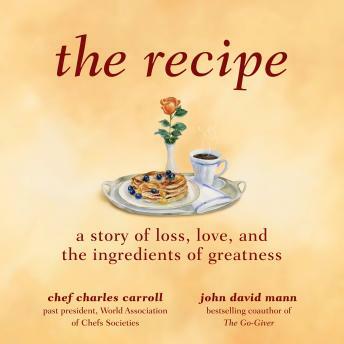 Blending poignant story-telling with vivid culinary detail, The Recipe offers readers a compelling recipe for personal greatness. Throughout the story the reader also learns key cooking concepts, cutting techniques, and other practical secrets of the kitchen. Includes a complete set of recipes for dishes cooked in the story.